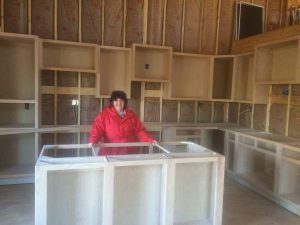 This Saturday is the first class in our new Soap Cottage. The attendees will be making a salt scrub. There will be many classes to come. 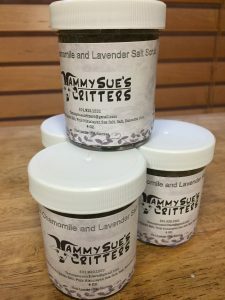 Information for the classes and events can be found here on our website or on our Facebook page: Tammy Sue’s Critters. The Salt scrub is made to replenish tired dry skin. The ingredients are specifically selected to nourish dry skin. The Epsom salts break down into magnesium and sulfate in water and get into your skin helping to relieve stress and aches. Epsom salts are also used to relive sore muscles. The pink Himalayan sea salt is chock full of minerals. This can breathe life into tired skin. Exfoliating with salt will help remove dead skin cells. These cells harden with age. The longer they are on the skin, the harder they get, and become thick if not removed. Layers of dead cells make skin look flaky. To exfoliate with a salt scrub is to reveal moist shiny skin. The abrasive action invigorates the skin and helps to improve circulation. Improved circulation gives skin a natural glow. The salt helps remove bacteria and unclog pores. Salt has antiseptic qualities. when applied to skin, it may help kill bacteria and reduce inflammation. Salt can also assist in easing itching and pain from skin disease. The sunflower oil will assist in replenishing the skin as well. It contains nutrients and antioxidants. The emollient oil retains the skin’s natural moisture. Sloughing away dead skin cells, encourages regeneration of the skin and actually promotes the growth of new cells. The regeneration process tightens the skin, giving it a firmer, younger appearance. Skin regeneration reduces discoloration, evening out skin tone and improving texture. The crushed chamomile is wild harvested from Alaska, adds calmness and smells amazing. The crushed lavender is a soothing agent. Lastly we add the lavender and chamomile oils to balance this scrub out and give you a spa experience. Life on the farm is an ever evolving thing. We love what we do and the critters we do it with. This spring we enter a new season on the farm and in the business. We are moving all business operations to a new sight…on the farm. That’s right, a new building. we have been in the process for two years. We knew that things had to change and we needed to get into a bigger space to make products. Our product line has grown and so has our customer base. As we began to really visualize what a space would look like, it took many forms. After about a year of what if’s we settled on a plan, kind of. Then the work really began. There were lots of visits to look a options of types of structures. 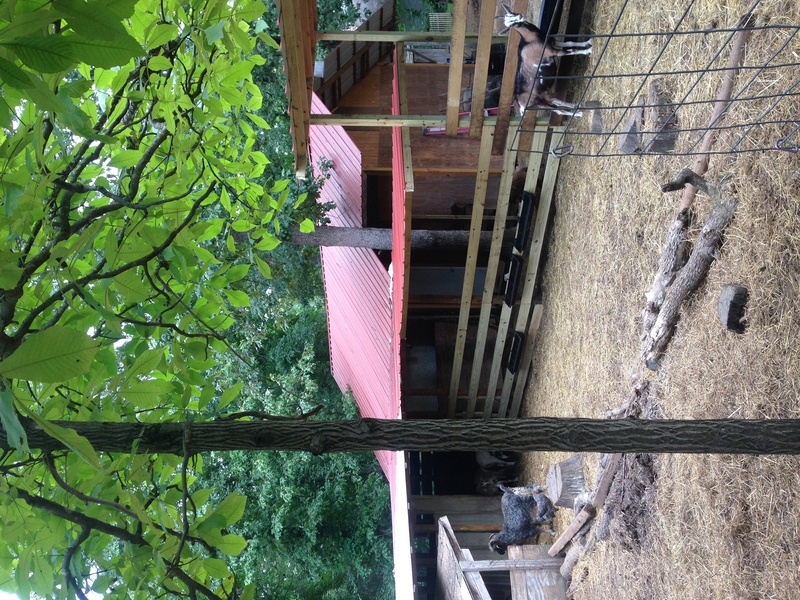 After much thought and consideration, we settled on a 24’x36′ metal building. 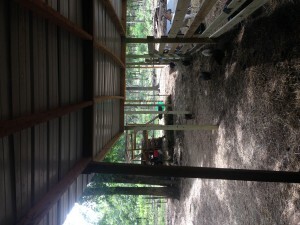 We used fourteen foot side walls, so we could have vaulted ceilings and a loft. With the added space of the loft we are at 1296 square feet. We began construction last August. This is not the ideal time to begin construction outside in Arkansas. The ground work was a painstaking task. My husband has done most of the work. We have had some wonderful family and friends that have stepped up and assisted, but for the day to day grind of putting this together, it has been him. We ran into lots of weather issues as we actually had winter this past year and it was cold and wet. By the end of December, we knew we needed some assistance and we contacted a great group of guys that got us in the dry! That was a day of great joy. Since the first of the year, we have steadily, day by day worked on the inside of our soap cottage. At this point, we are about 80% finished. We will have this wrapped up within the next six weeks or so. Our cottage floor plan includes a storage room, bedroom, bathroom, laundry room. kitchen, great room and a loft. We are moving all production to the cottage and we will be conducting classes and demonstrations there as well. 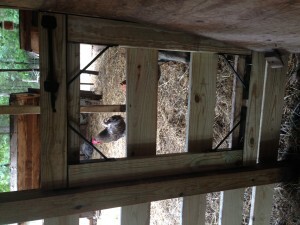 There will be lots of on farm activities associated with this new space. Information about our upcoming events can be found at the ticket icon on this site or on Facebook at TammySue’s Critters, under events. We are also excited to announce that we have signed up for WWOOFER-USA and Workaway programs. 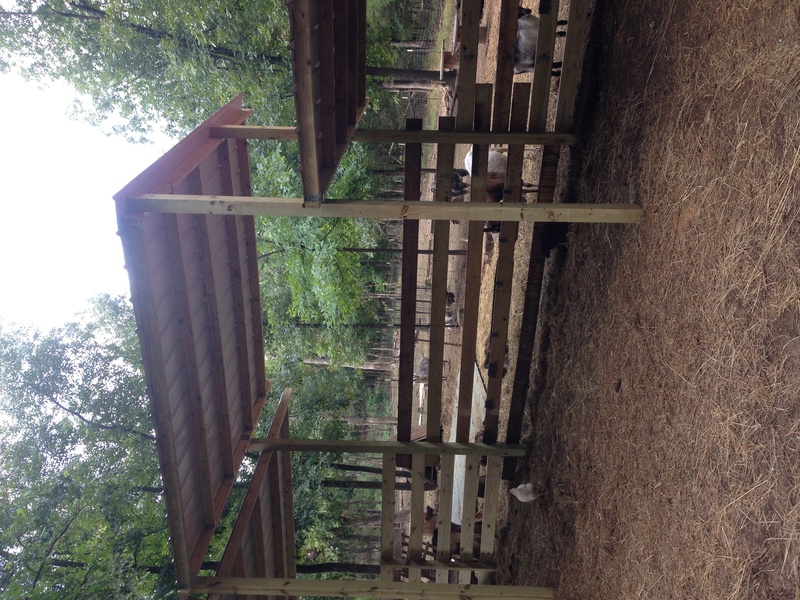 we are now able to have interns interested in learning about our farm and what we do. 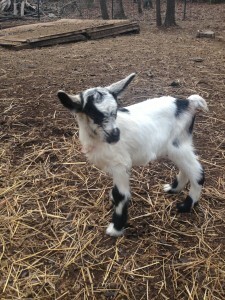 We are so excited about our future, the future of the farm and the future of Tammy Sue’s critters. Yes, I know it’s been a very long time since I’ve posted. The farm is doing well. We had a great kidding season with a total of twenty kids. Also, we were successful in selling most of them to loving new homes. This summer, we worked like crazy!! The epic spring rains taught us many things. We do not want to revisit any of it again. We have done major improvements in fencing and cover. 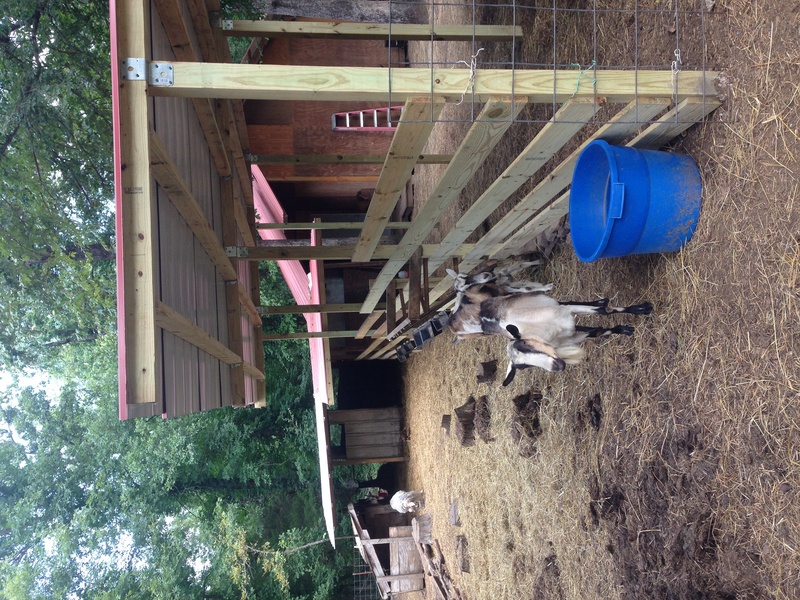 We can now feed and water all of the goats and stay dry. Our front fence has been redone, so the goats cannot push the fencing. They are such active girls that they were creating quite a problem. 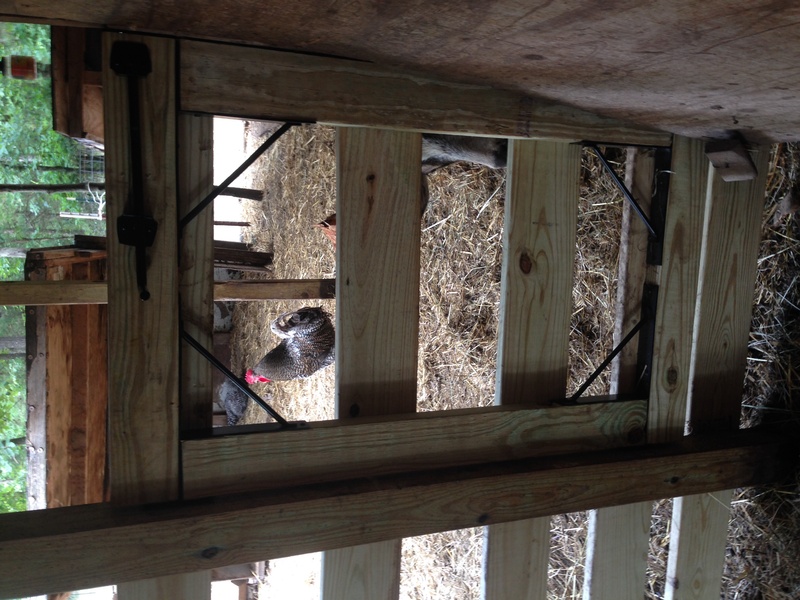 Another big improvement was a personnel gate on the front side of yard. 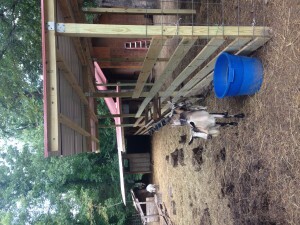 We can enter and exit goat yard without getting out in the weather! It is mid winter, but we are in the throughs of planning for spring. The does are all bred and will start kidding in the next thirty days. 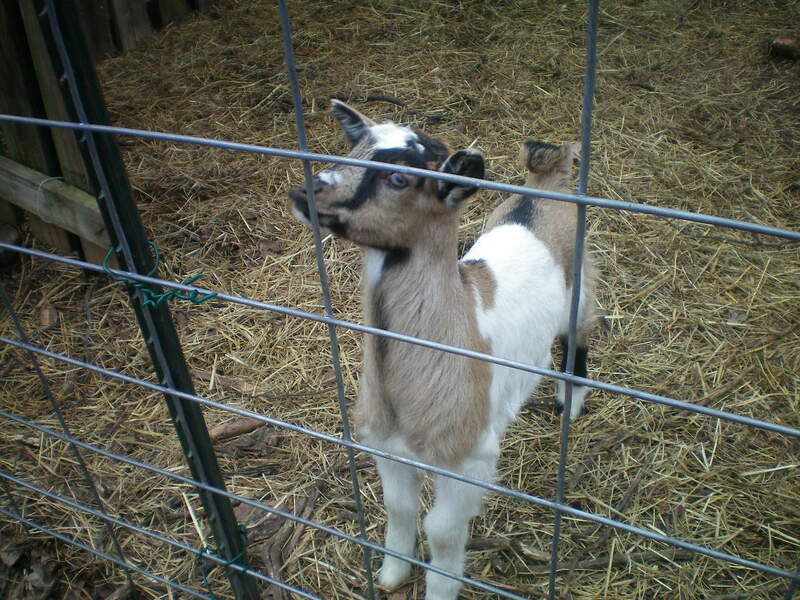 Breeding did not go exactly as planned this past fall, but the end result will be the same. It is always very exciting when the birthing starts. We have lots of fresh rice straw, which is such a soft and warm bedding. We have moved the houses around and have cleaned up the birthing suite. We are ready! Baby chicks will be arriving on March 24! 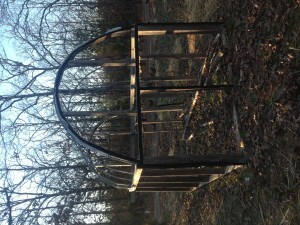 This year we are repurposing an old greenhouse to be a new chicken brooder coop. 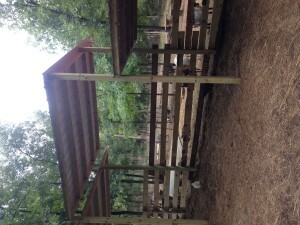 Basically my husband informed me that I could not use the newfangled goat house for baby chicks, something about the new floor and painted walls. What’s that about? We have the first couple of steps finished. 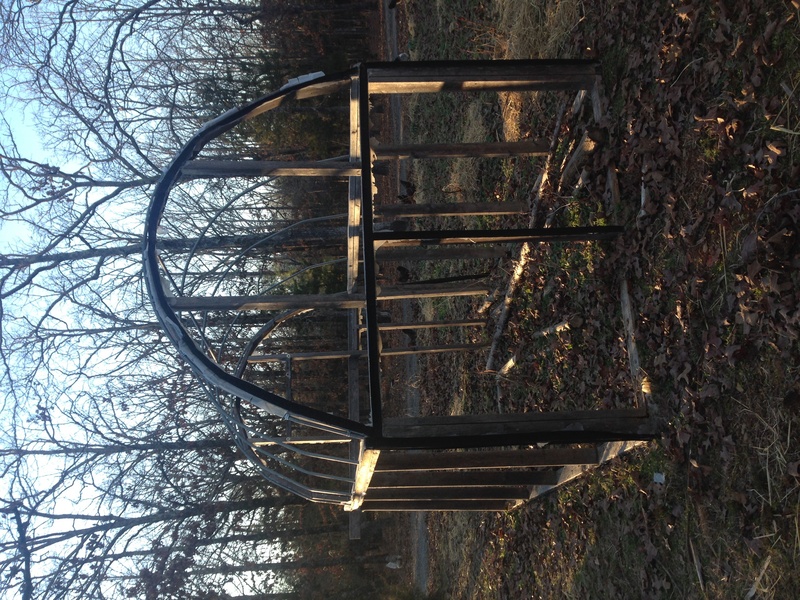 The greenhouse has been moved to a new location next to our chicken house. We also have replaced the bottom boards. This weekend we will work on side and top panels. I really like this idea and look forward to our little peeps being safe and warm. We are getting very excited for the bursting forth of spring! This past weekend we were at the Arkansas Flower and Garden Show. It was a wonderful experience for us. We got to see so many of our old friends and meet lots of new ones. After the brutal winter we have endured, it was invigorating to enjoy the scent of flowers, mulch and even the dirt! The beginning of this week has been extremely eventful. 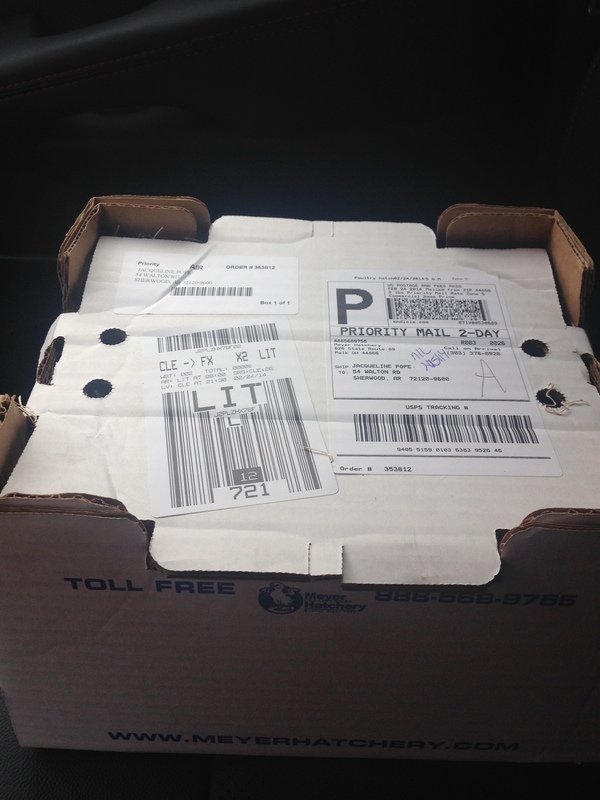 The first shipment of our baby chicks has arrived. 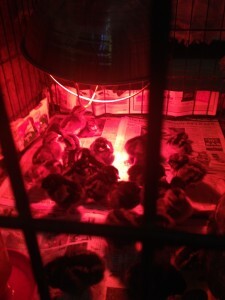 We have fifteen Golden Laced Wyandots and eight Redcaps. 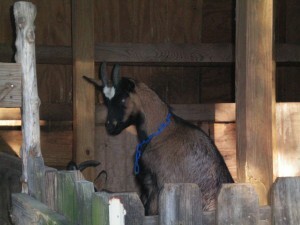 They have settled into their new home inside the goat barn. This morning they were all scattering around their cage quite content under the warmth of the heat lamp. Now we knew that the chicks were arriving, but we had a great surprise yesterday of a set of twins from Oreo. We didn’t think she was due yet. When I arrived home from the post office with the chicks, (yes, they come in the mail) I went to set up light for them and heard an unusual sound. It was the sound of a newborn kid. Surely not! I stepped outside to find a bouncing set of does and a very proud Momma! 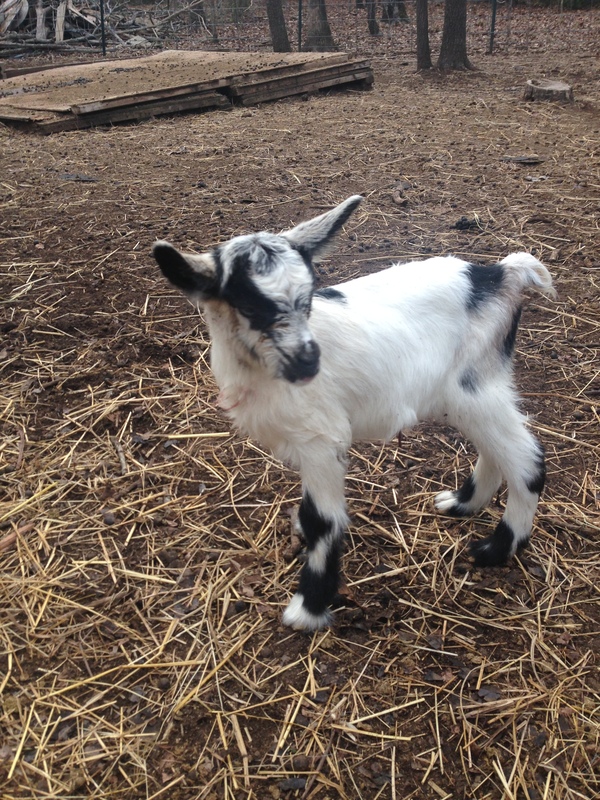 We have lots more kids to come, stay tuned. Today is a big day! we have gone live for internet sales. That’s right, you can now order all your favorite products direct from our website! we are very excited and the goats are very excited. They love that now you have an easier way to find their wonderful body products. We are also looking forward to the Arkansas Flower and Garden Show, at the Statehouse Convention Center from Feb. 21-23. On Friday the 21st I will be speaking at 1:00pm about our products and the farm. The Argenta Faremer’s Market opens on March 15th at 7:00am! YesterdayYesterday’s we were very excited and blessed to be visited by P Allen Smith. he is doing a conference on Friday for the Arkansas Women Bloggers. Allen will be talking about local businesses and will be featuring us! 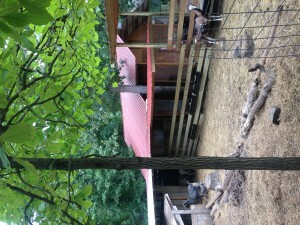 We spent about an hour here at the farm sharing our goats and what we do. It was so amazing to visit with him and share our vision. We may have another big announcement coming soon.